The Diocese of Cape Town have declared their solidarity with those affected by the recent attacks on two mosques in Christchurch, New Zealand. 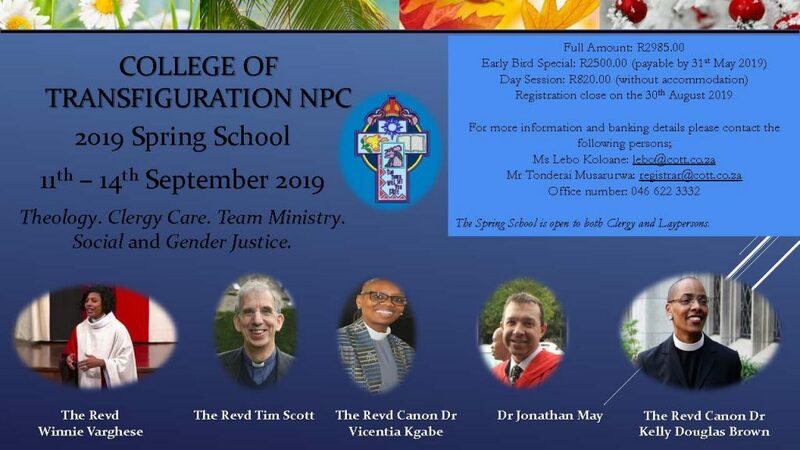 The Diocesan Standing Committee ( DSC) of the Diocese of Cape Town met on Saturday the 23rd March 2019 at St Paul’s Church, Bree Street, Cape Town. The gathering expressed its support of the act of solidarity held on the steps of The Cathedral of St George the Martyr on the evening of Sunday 17th March in memory of the victims of the recent mosque attacks in Christchurch, New Zealand. The candlelight vigil was led by Bishop Garth Counsell, Dean Michael Weeder and Sheikh Sa-Abdullah Khan. The vigil, largely a silent one – interspersed with prayers from the Koran and soft chants of lament for the dead – lasted for 50 minutes. Each minute served as a reminder of each person who died during the attack on the Al Noor and the Linwood Mosques in Christchurch. The meeting noted the significance of its deliberations happening within the context of the Bo-Kaap, a place characterised by a history of deep social and familial ties between Muslims and Christians. These bonds of affection are best expressed in respectful and reciprocal acts of compassion and embrace when the need to be comforted is most evident. The meeting expressed the prayerful hope that those who were killed during this most holy season of Lent would know the peace of eternity and that their families would find comfort in the way many in the global community chose to respond, in love, to their plight. The members of Standing Committee further pledged their ongoing support and prayers for all affected and called for an end to such wanton acts of violence and senseless killing of others, whatever their creed, colour or political persuasion. In recent days or weeks there have been reports of catastrophic disasters that have caused the loss of life of 100s of innocent people. They range from the 40 people mowed down by automatic gunfire while worshipping in a mosque in the city of Christchurch, Aoteroa/New Zealand, a city dedicated to Jesus Christ and to the Church of God. The unsuspecting worshippers posed no threat to anyone. They were simply worshipping God as they have always known how to. The fact that it was in faraway New Zealand and not Pakistan or Yemen or even Syria, and for the ex-Capetonian, Ziyaad and his family who emigrated to New Zealand twelve years ago in search of a better life for his three daughters, it was a near-death experience. To the Australian, who was filled with hate and an avowed racist none of this mattered. 40 innocent people died that day. Pain and the anger were felt everywhere as tributes poured into New Zealand and a stunned nation, as the youthful Prime Minister, Ms Jacinda Arderne, led the nation in mourning. But miracles happen. Out of misfortune, a flood of compassion and nobility of spirit have been unleashed. The tragedy has brought Christians closer to the Muslim people in grief, and New Zealand has defiantly reaffirmed its commitment to provide sanctuary to refugees and asylum seekers regardless of race, religion, colour or creed. On the early morning of Sunday 10 March 2019, ET302 bound for Nairobi crashed at Bishoftu, within minutes of take-off from Addis Ababa’s Bole International Airport killing all 157 passengers and crew on board. The plane was a Boeing 737 800Max, similar to the one that had shortly before crashed in Indonesia. What caused the plane to crash is yet to be determined but the manufacturer’s technical faults as well as human error cannot be ruled out. Among the passengers who perished were young pilots and beautiful crew members that only Ethiopian Airlines can boast of, many United Nations officials bound for Nairobi to attend a United Nations Conference that was to have opened that day, and other passengers that included an eminent academic from Ghana. Ethiopian Airlines is arguably Africa’s best airline, with a reputation for safety and efficiency and customer care. On that fateful Sunday it was not to be. The honour and reputation, let alone image of Ethiopia, was put to the test. It was a national disaster. The cream of Ethiopia and the pride of Africa may well have crashed with ET302 that fateful morning. Last week, on March 15 and 16, a large swathe of southern East African countries principally Mozambique, Zimbabwe and Malawi were struck by the Tropical Cyclone Idai. The cyclone hit with such force and devastation of wind and rain storms that it was a massive destructive force at times blowing at 194km/h, leveling all on its pathway causing death and destruction of monumental proportions. In its wake it left an inland ocean and waterways in the coastlands of Mozambique, muddy roads, broken bridges, broken homes, torrential rains followed making rescue efforts hazardous. Hospitals, schools and many public buildings and infrastructure that are destroyed render aid efforts calamitous. There is fear that the devastation caused by Cyclone Idai will be followed by famine and even more deaths in the countries affected: disease from water-borne diseases, contaminated water systems from rotting human and animal corpses floating on waterways. The destruction of food supplies has been unprecedented. The United Nations has declared that this natural disaster has been the worst to hit the southern hemisphere within living memory. Beira, Mozambique’s second city, has been reduced to a ghost city. The city suffered the most impact as a result of the cyclone: houses, hospitals, schools, roads – bodies are being washed ashore from as far away as Zimbabwe! More than 600 people (at the last count!) 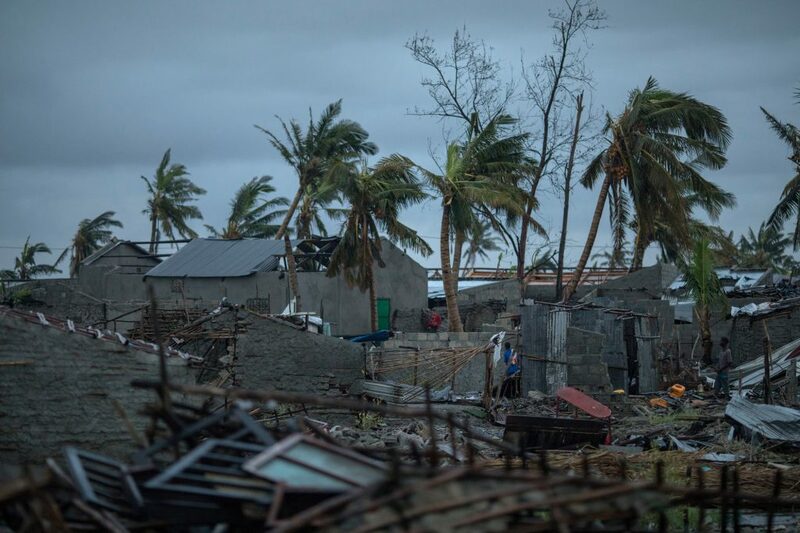 in Mozambique alone are estimated to have died in the storms in Mozambique, hundreds more are missing and may be presumed dead, farmlands and livestock destroyed, property was shattered and wherever eye could see there was but utter devastation of apocalyptic proportions. People are gathered on rooftops, others on higher ground, and yet more are to be found holding on for dear life on tree tops. Misery and hope, fear and horror are etched on their faces in equal proportions. Rescue efforts are underway, funerals follow, and grief will strike Mozambique like a pall of death for many years to come. Indeed, life will take many years to get normalized. The nations are in mourning. There are appeals for humanitarian aid and nations are responding to this humanitarian disaster. Proudly, the Minister of International Relations and Cooperation, Ms Lindiwe Sisulu, has undertaken that South Africa will provide all necessary aid and the SANDF is once again on the ground in Mozambique. Dada, is a peasant farmer in the Chimanimani District of Eastern Zimbabwe, in Manicaland. He was found wandering with hoe in hand, dazed at what he had been through. “My bean crop was ready for harvesting,” he said, “… the maze was close. I am back to zero.” He lost his two prized bulls also that were indispensable for his agricultural activities. The question is often posed, ‘How come that this happened to them?’ Was it because they were Muslims, or was it that God’s wrath was being visited on the unfaithful? Those among them who were devout Christians could it be that it was because of their sinfulness or that they were neglecting their life of prayer? “No, I tell you;” says Jesus, “but unless you repent, you will perish as they did” (Luke 13:3). From those who stand upright even more is expected. We have come to the middle of the Lenten period of reflection and fasting and prayer. Those of us who have tried to maintain a discipline of prayer and study, of worship and fasting may well be feeling that “Well done” and that you have satisfied all that is necessary for salvation. You may even observe all about you and wonder how so many who live evil and immoral lives manage to survive untouched by the hand of God in anger. A ‘holier than thou’ attitude can at times be irresistible. Those, by the way, are not ideas and behaviours uncharacteristic of good Christian men and women! Some of us have been engaged with Bishop Rowan Williams studying his book, BEING DISCIPLES: Essentials of Christian Life. Williams has been guiding us into understanding what it takes to be disciples of Christ, and to understand the substance of being Christians and how that affects the way we live our lives as disciples of Christ: Faith, Hope and Love, Forgiveness, Holiness and Life in the Spirit. This week we delved deeply into the challenge that most of us have about Forgiveness. We discovered that forgiveness for Christian people is a very difficult if not impossible ask. The Crucified Lord prays on the Cross, “Father, forgive them for they know not what they are doing” (Luke 23:34). What is a Christian responsibility when we actually know that the acts undertaken were part of a plot or a plan to suppress, and to deny the humanity of another? We understood that forgiveness is in the nature of being God. Without the quality of being forgiving, God ceases to be God. However, precisely because it is in the nature of God to forgive, as disciples of Christ and those created in the image and likeness of God forgiveness is what we receive by grace and what we give to others in charity. Following Williams, when we say in the Lord’s Prayer “forgive us our sins as we forgive those who sin against us. We ask that God who sustains in us the sense of our humanity in all its fullness and its richness (to) give to us “those relations with others that will keep us human, aware of our mortality and of our need, yet nourishingly confident that we are loved” (2016:38). We are reminded that in the eucharist not only is it a Feast of Thanksgiving for the acts of salvation, it is also a memorial that we are undeserving, and of our unworthiness. As a memorial the eucharist is the knowledge that by faith that which God has promised is in fact happening, and its fulfillment is in the mystery of the breaking of the bread and the sharing of the chalice. The same thoughts were not far from the mind of Paul in the Letter to the Corinthians. Indeed, the Christian faithful were inclined to be arrogant, smug, self-righteous and ‘holier-than-thou’. Drawing from the Hebrew Scripture we are told that the ancestors were “baptized into Moses in the cloud and in the sea.” Yes, it could be certified that the people of Israel “drank from the spiritual rock that followed them, and the rock was Christ (1 Cor 10:4). And so, their credentials were rock solid. They were beyond dispute. In other words they had the assurance of salvation; they had experienced the saving hand of God; they were aware that God was in their midst as a protective cloud against their enemies, and they could hear the voice of God hovering above to guide them to safety across the Red Sea. In all, they celebrated through the ups and downs of the wilderness. They had become the people of God and God had become their God. They were walking tall. The warning then is that God must never be taken for granted. God cannot get captured to satisfy our every whim and fancy. The prophetic word is: “watch out”, lest you too fall. In St Luke’s Gospel we are reminded of the plight of many in Galilee and Judea who were visited by tragedy. The Galileans had a reputation as rebels and freedom fighters. They were slaughtered by the Roman gendarme just as they were making their sacrifices in the temple in Jerusalem. The inclination by the Judaeans was that they suffered because of their evil ways. When Pilate was building the aqueduct to provide fresh water for Jerusalem, the Tower of Siloam fell on the construction workers killing 18 of them. These examples are cited only for Jesus to exclaim with an emphatic, “No…” for the second time in a few short sentences, “NO, I tell you…” it was not because they were the worst sinners and offenders, or that you who were not struck by misfortune that God condoned your own acts of infidelity and sinfulness. You, too, will perish “just as they did” unless you repent. So, if you think you are standing, Watch our that you do not fall. The only hope of salvation that the people of faith have is not just in their own capacity and strength to stand, for they will surely fall, but to acknowledge that “God is faithful.” It is by the grace of God that we stand; and we stand only for the purposes of God and not our own. As we draw towards the end of the period of Lent, we do well to ask, ‘Are we standing?’. If we ask that then we should also question what our role is in the disasters that engulf our world. What are we doing to combat hate crimes and promote tolerance of difference: racism, xenophobia, abuse of women and children, hatred of different sexuality at birth and by preferences or inclination. What do we do in our daily lives to promote the values of the kingdom, and to create a world of peace and reconciliation or to create conditions necessary for the flourishing of the human person, rather than the destruction of that which God has created? At times like these faith calls upon us to express human solidarity in practical ways. That is the basis on which the Archbishop of Cape Town has issued a call for assistance to the church in Mozambique that, after all, is part of the Church of the Province of Southern Africa. The most unforgivable heresy is one that claims favour with God for our evil ways, and that justifies hatred and prejudice as the will of God. What are we doing about climate change? How do we contribute towards the escalation of global warming resulting in unusual weather patterns? Could the Ethiopian Airlines pilots have been better trained and supervised more carefully? We now know that Boeing, the American aircraft manufacturer sold aircraft with key safety features as optional extras. The result is the tragedy that unfolded that morning. It was a case of greedy and aggressive capitalism gone mad. How do we make amends for what has been? Gift of the Givers are already on the ground in Mozambique with humanitarian assistance. The Red Cross worldwide and other agencies like Medicins sans Frontieres are all rallying to provide humanitarian aid. The coastal city of Beira, which lies in the middle of the devastation and flooding wrought by Cyclone Idai, was cut off from the rest of the Diocese of Lebombo in Mozambique for days after the cyclone hit. “There was no communication at all and we did not know who from our congregation might have survived the storm,” said the Bishop of Lebombo, the Right Revd Carlos Matsinhe, in a report on the situation sent on March 22. A few days after the Beira airport reopened, he was able to get a flight there. He found that the Diocese’s new church in Beira had been collapsed by the cyclone. His report continued: “I saw also churches of other denominations that have also been destroyed in town except our little chapel at Munhava, which was, of course, the refuge of many people living around it. At a centre hosting 600 displaced people in classrooms, he found shortages of food and water and a lack of hygiene. He also managed to speak to the governor of Sofala Province, within which the devastated area falls, who appealed for prayers and support. “In the other districts that have been affected we have no information about the safety of our members because these districts remain isolated without any kind of communication. “We know Fr. Araujo and his family at St. Mary Mutua in Dondo is well but his house and church were partially damaged. We do not know anything about Father Domingos Chipuazo at All Saints of Nhamatanda. “What we imagine is that since most of our outstation churches are made of local bricks and mud and roofed either with grass or zinc sheets, like the houses of the population they will have been destroyed. “In Chimoio, one of our concrete church buildings, the Holy Family Church, is one of the accommodation centres. Around this church 58 houses were destroyed and 48 families found accommodation in the church. 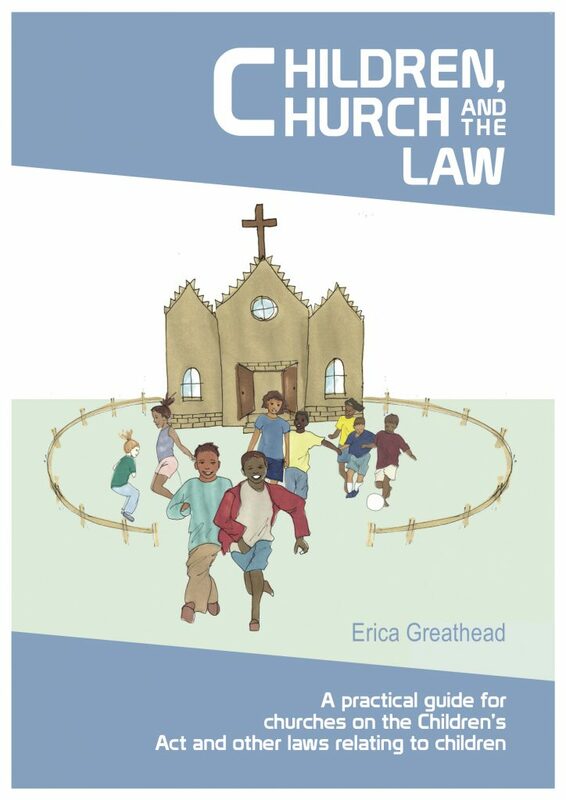 I hope to provide more data about the stae of our churches and communities as soon as we have them. The electricity grid has been pulled down by the cyclone and there is no running water. The population survives either by collected rain water or by water from open sky collection wells which can easily be contaminated. The sewerage system is not secure because the water level is up or above the surface. Human waste is likely to contaminate those sources of water and cause diarrhoea and cholera or other similar diseases that can be deadly at this time of human crisis that region. The destruction has also taken place in the countryside hit by the cyclone in the provinces of Sofala, Manica and part of Tete. Up to yesterday there was not sufficient food and medical supplies in town (Beira). Many shops have not opened since after the damage by the cyclone. The shops… that are open are selling food and other necessities that had been in stock before the cyclone. Shopkeepers have started to increase the prices of commodities. Since the main road connecting Beira to the rest of the country is cut off in four sections over the Pungue River and trucks with emergency and general supplies cannot reach Beira, currently supplies are to being airlifted. Nevertheless much is being done to re-establish connections between the city and the inland area. There are hopes of a ship bringing rice to reach the Beira port any day soon. As all should know, this Cyclone Idai is rated as the strongest and most devastating climate disaster even seen in the southern hemisphere. This should tell you how dreadful its effects have been. And it will take many years to recover from its long-term impact in human and economic life of the region. Official records given as per 21st March indicates 242 deaths in the affected region and the State President, speaking during his visit to Beira, said that the toll may reach 1000 or more as the number increases day after day with more people found as rescue operations reach new places. The number of those affected needing immediate emergency assistance in the whole of Sofala and Manica provinces is 180.000 as per March 21. Following the city of Beira, other districts such as Dondo, Buzi, Nhamatanda, Gorongoza, Marromeu, Caia, Chemba, Machanga and Chibavava are also affected by the overflowing of rivers in those areas and it is feared that more people might die if the dams are opened since they are receiving a lot of water from the rainfall in neighbouring countries such as Zimbabwe and Malawi. Six South African helicopters are assisting in rescuing the people of Buzi found on trees, rooftops and other higher places. No one has a count of who has already died in districts under water. Rescuers bring new stories of how terrible and bleak the situation is. Television images show that we stand in front of a far-reaching human crisis. Last minute news indicates the Beira Hospital has been closed because of the state of destruction and the lack of basic conditions. Tents from which to run health services are to be built around the hospital – this tells you how terrible the conditions are and may be. [Adding to the crisis] the Province of Zambezia (which is part of the Diocese of Niassa for Anglicans) has been under floods along the rivers even before the Beira cyclone. This cyclone has equally affected Zimbabwe and Malawi badly where many people were also killed (so far 139 for Zimbabwe and 56 for Malawi). From contacts with other institutions and NGOs, I am convinced that in a few days there will be enough food supply for the emergency, although we do not know how long the emergency will last. Internal solidarity is growing as is the international one. But more than supplies is the need for service capacity. I have noted in Beira that the health sector has pulled together health workers from different provinces to come and help. Also a number of national and international NGOs are building joint efforts to respond to the crisis. At this point it is important to think and plan for the post- emergency phase. Donate funds for health protection (mosquito nets, repellents), apply preventive measures. Donate funds for reposition of livestock. The Provincial Synod Advisory Committee has approved the theme, and a special Collect, for the meeting of Provincial Synod which is taking place in September this year.